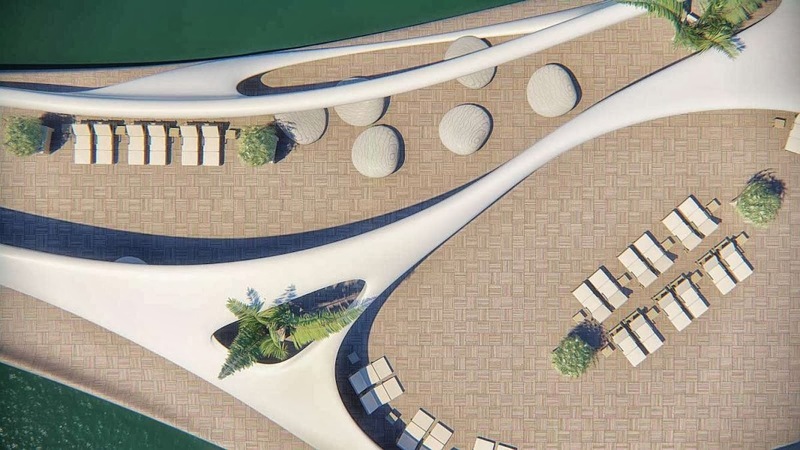 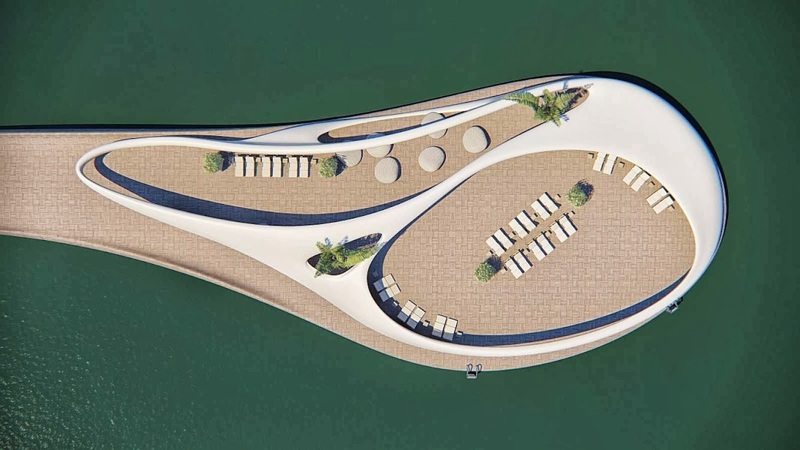 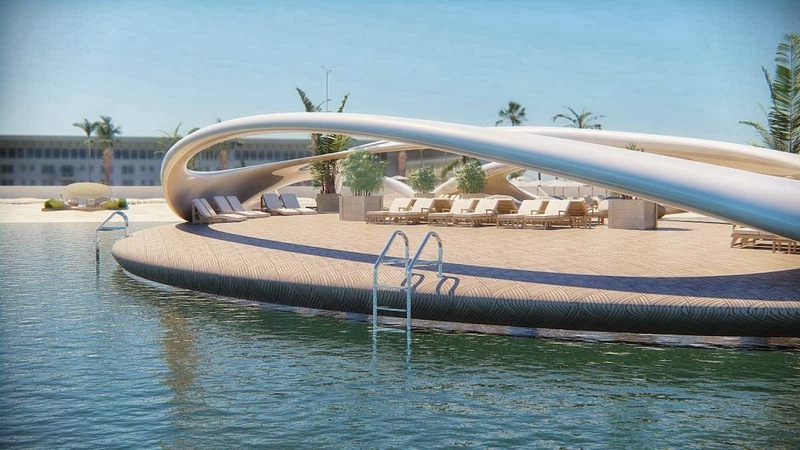 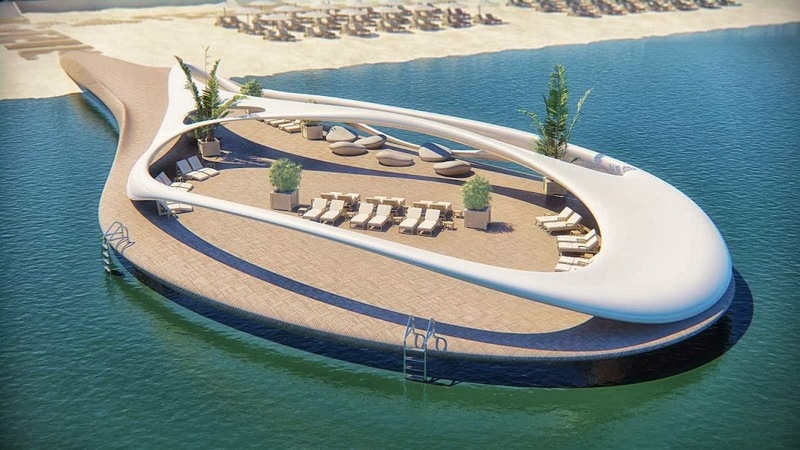 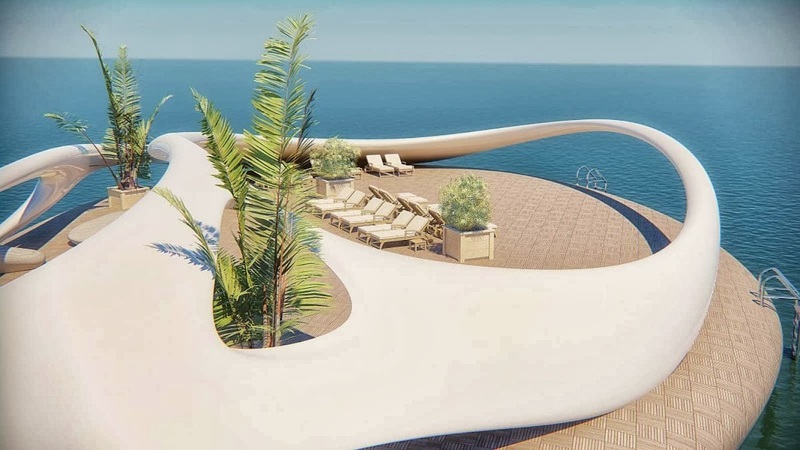 The architects designed a platform for a private hotel on the beach in Antalya, a city on the Mediterranean coast of southwestern Turkey. 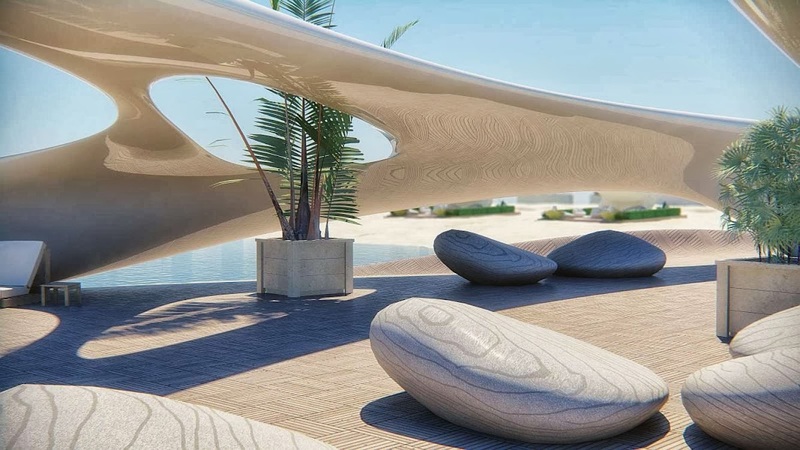 Features sophisticated fluid design to create harmony with its surrounding, the structures need to represent calmness and peacefulness. 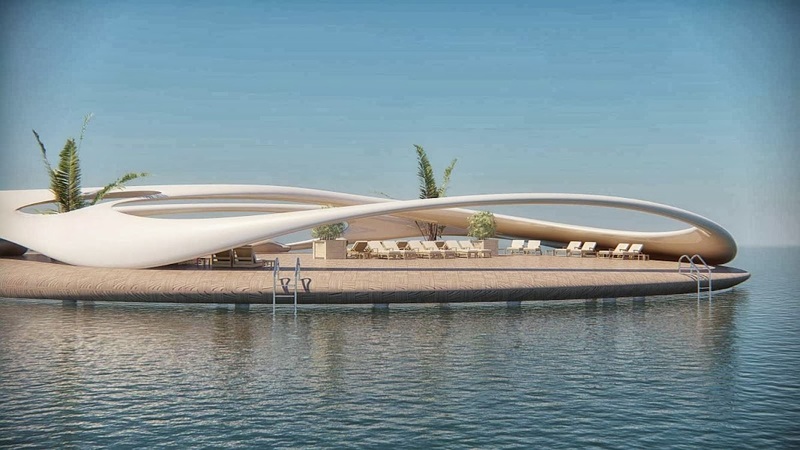 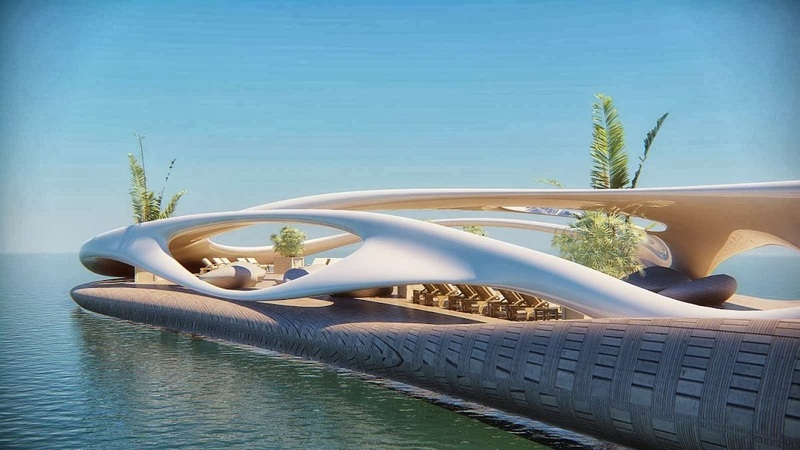 The project it has to blend perfectly with setting and its environment, inspired by water and wind formations. 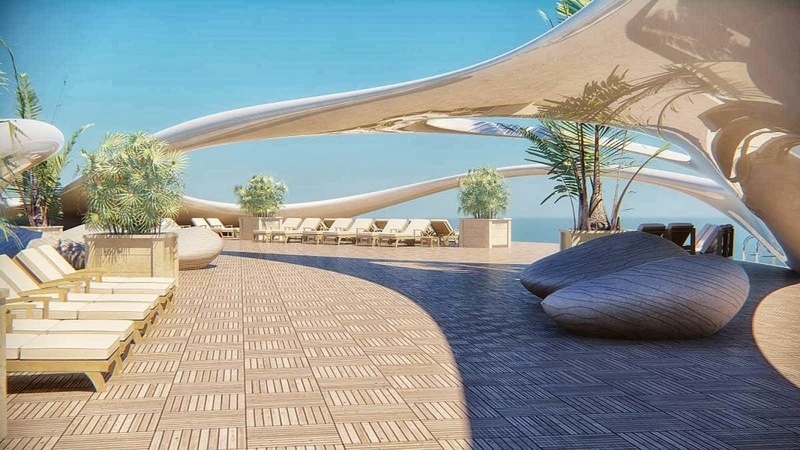 The architect explored all possibilities to provide the best area to do sun bathing, resting, and hosting events. 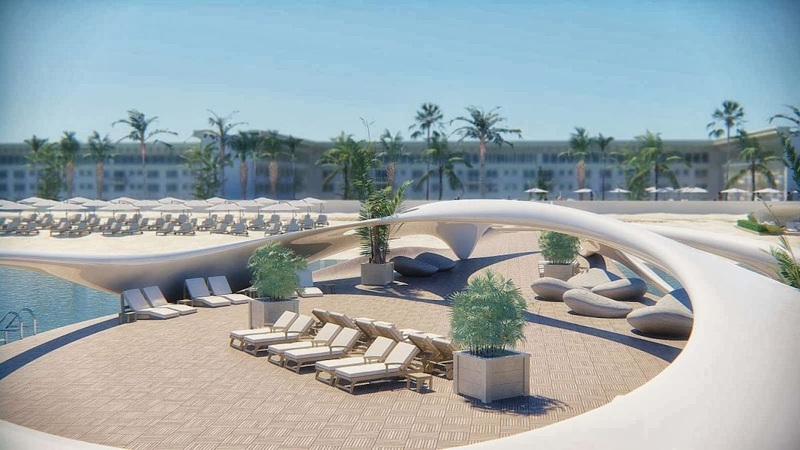 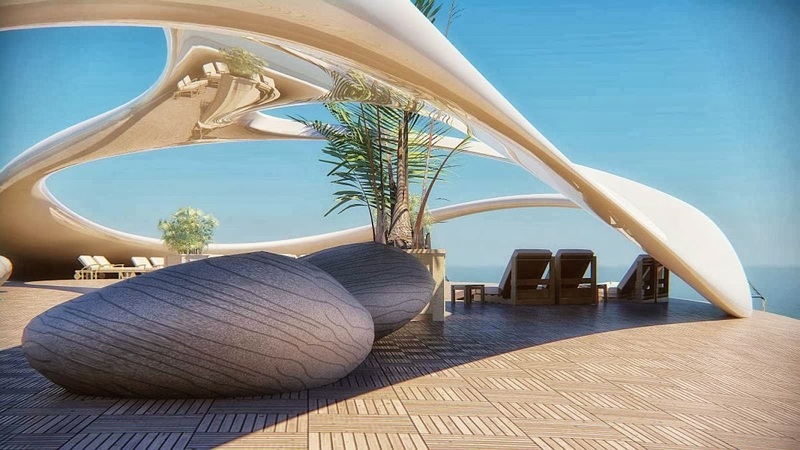 "We designed curvilinear lightness form which respect to visual peacefulness taste for a beach side area. 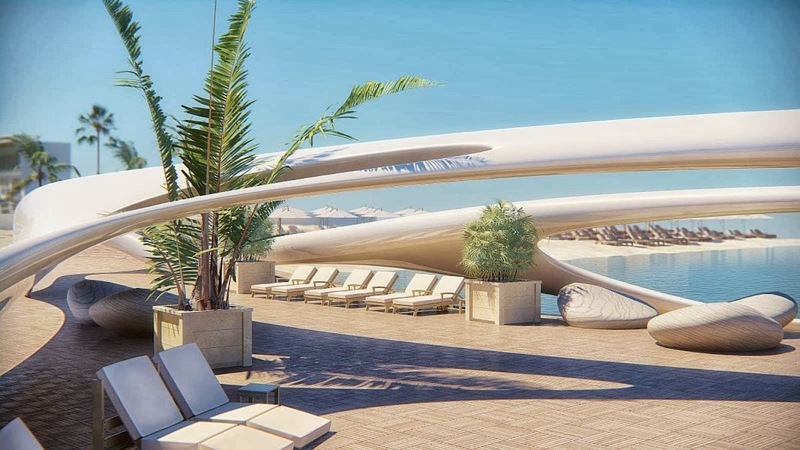 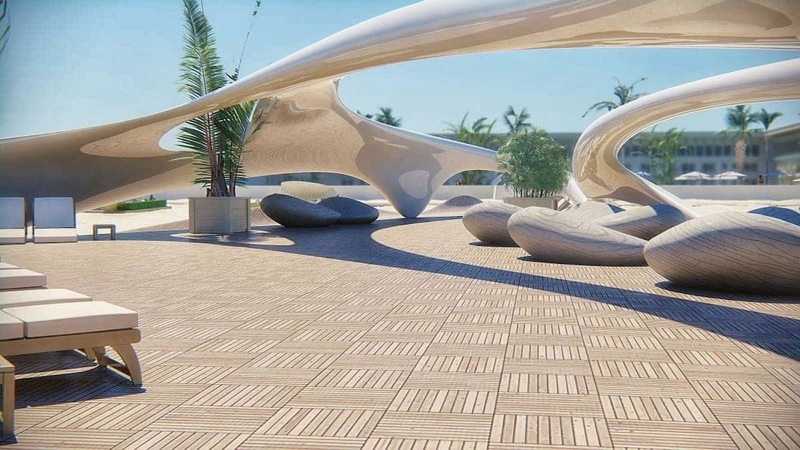 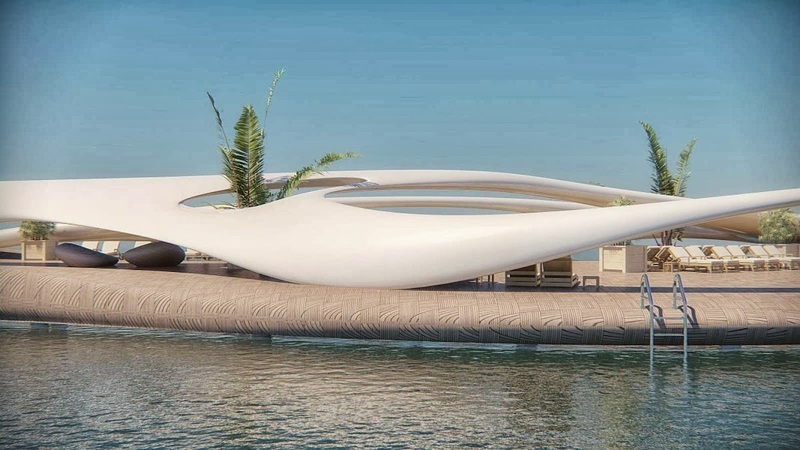 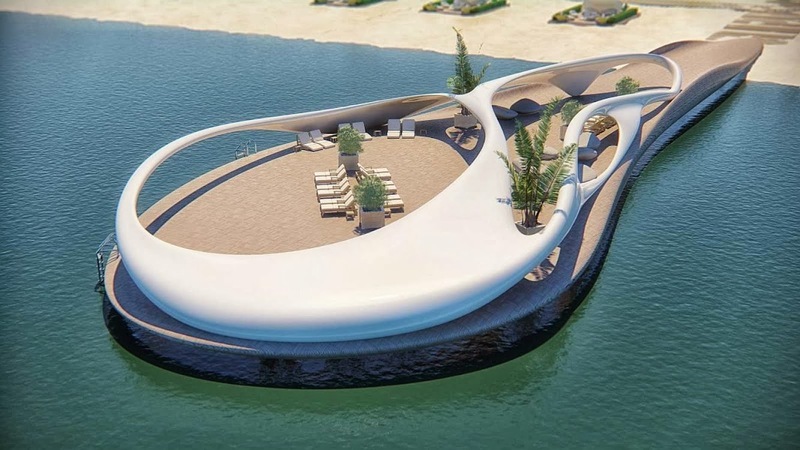 We wanted to design more sophisticated and effective pier for beach side but also we did not want to a make an annoying solid structures” says the architects.